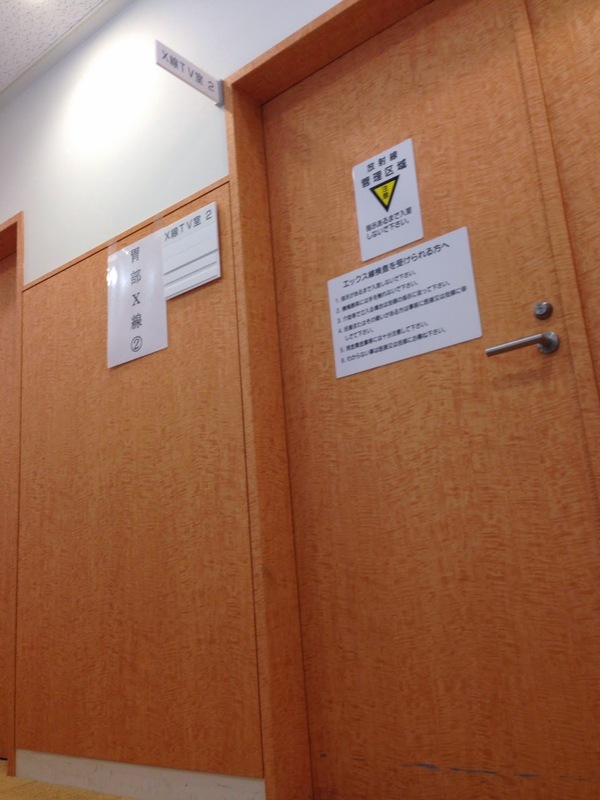 The time of year for annual health check-ups (健康診断 "Kenkō Shindan") has arrived. 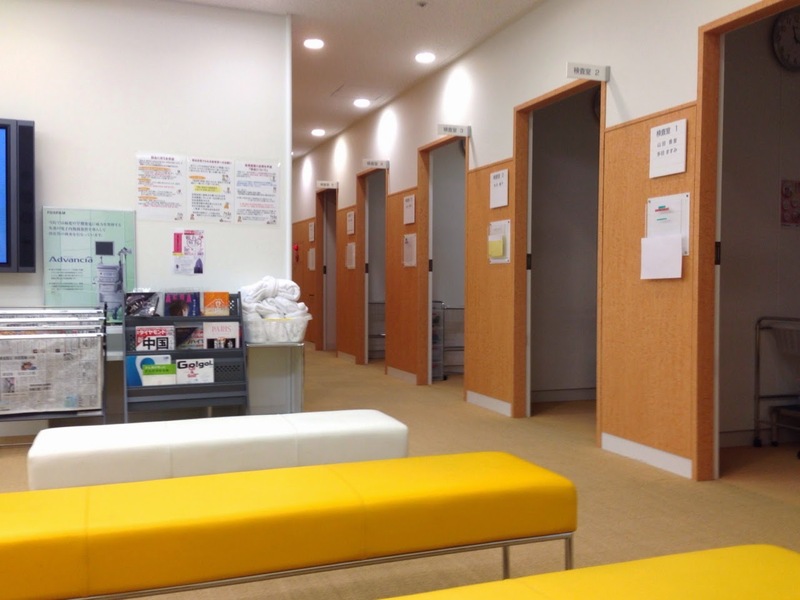 The other day I had my second annual health check-up at the same place as last year, the Mitsui Tower Clinic (三井タワークリニック) in Chūo City, Tokyo, a few steps away from my office. This week I joined 1000s of other company employees and workers in Tokyo as we fill up clinics and hospitals all over the nation's capital hoping to get a clean bill of health. Properly maintaining a system of national healthcare is easier if everyone is as healthy as possible, so annual health check-ups are strongly encouraged, and in some cases required, for everyone. The examinations are almost entirely covered by Japan's government health care plan, and any remaining fees are covered by employers. Some of the larger companies even employ doctors of their own to provide healthcare checkups in-house. Just like last year, I was very surprised at the amazing level of thoroughness and attention to detail. In some cases I was given exams that I had never been given before, and in other cases I was given exams that I hadn't been given since childhood. Such meticulousness seems like it would come with a high price of time, but not so. Clinics are very well staffed, and cooperation amongst staff and doctors has achieved a level nearing perfection. I never had to wait more than 2 minutes, except for when I first checked into the clinic and waited about 10 minutes before being called in. After running the full gamut of tests, I was finished and out the door after about 90 minutes. Like most health check-ups I've been given before, we start with the basics: height, weight, blood pressure, reflexes, a blood sample for glucose and cholesterol, etc. 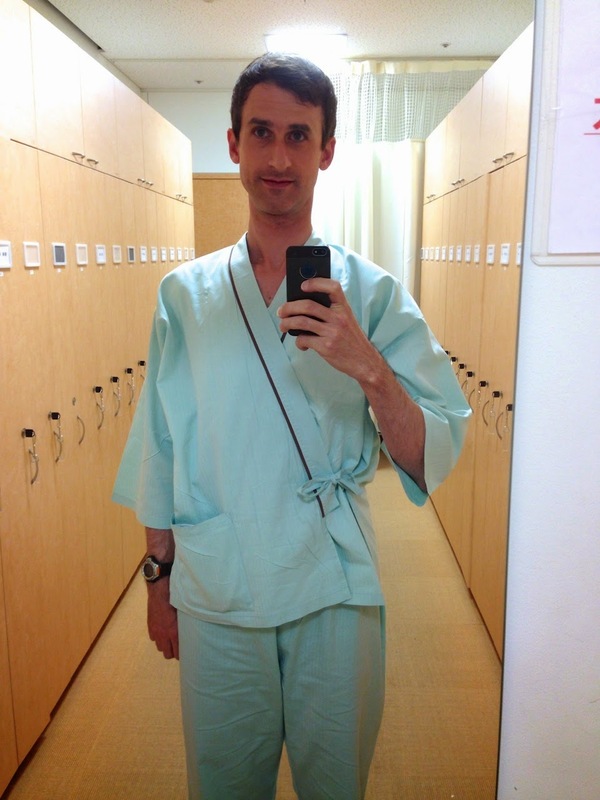 Where most health check-ups end, however, is just where ones in Japan start to get interesting. Stool sample - Patients are provided with a kit in advance of the exam that includes supplies for taking a sample of our poo in the comfort of home and storing it in a container until the test! The kit comes complete with helpful and entertaining diagrams indicating how to use it. So as patients check in for their exams, you know that everyone is carrying a tiny bit of poo with them and handing it over to the doctors. LOL! GI examination - This is the worst part of the check-up. This exam begins with the consumption of a tiny cup full of soda powder followed by a shot glass of water; immediately the soda starts foaming up in the mouth. Next the soda powder and foam are washed down with approximately 300 ml of liquid barium which tastes like a cup of concrete that has too much water mixed into it (*bleh!*). After that, hang on while a large hospital-bed-looking device rotates the patient all different kinds of ways capturing numerous different perspectives and also being sure the barium covers all internal surfaces. After the craziness is over, it's time to down a couple of laxatives to be sure the barium exits the body as soon and as completely as possible. What a day! What makes it even weirder is that the barium maintains its white, watery concrete-looking consistency all the way through the human body...if you know what I mean...heh! The health check-up ends with a quick doctor consultation which is merely superficial at best, but consultation is not the point of the visit so I guess points should still be given for effort. At Mitsui Tower Clinic, patients are sent on their way with a receipt and a bottle of healthy sesame tea. I'll get my results in a couple of weeks or less. Before finishing up this post, I would just like to say, I know the images in this post are pretty uninteresting for the most part. Sorry about that; it's hard to take photos discretely in a busy clinic!